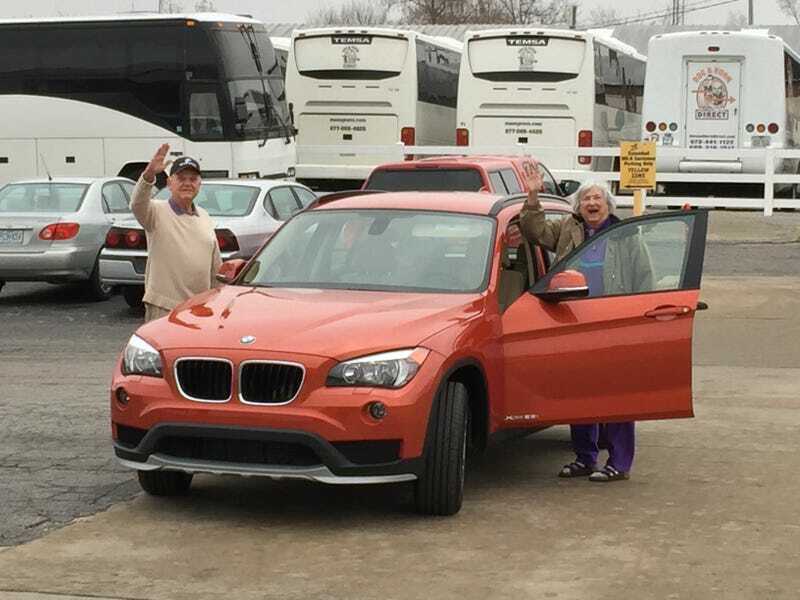 I helped my in-laws replace their 22 year old Lexus with a nice 2015 BMW X1. I picked the car up in Colorado Springs on Friday and drove it to Missouri. Below are representative photos of the less than exciting drive. Repeat over and over across America's heartland. I managed to get pulled over in Kansas City, Missouri for going 62 in a 55. I followed the recommendations of Steve Lehto and managed to drive off with a warning. I delivered the folks the X1 and spent two days teaching them BMW peculiariarities such as pressing buttons to select a gear and to park or its cruise control system that has no resemblance to anything you've seen before. Overall, they are thrilled with the car and it was a joy to watch them get excited about a car and not just look at it as an appliance.